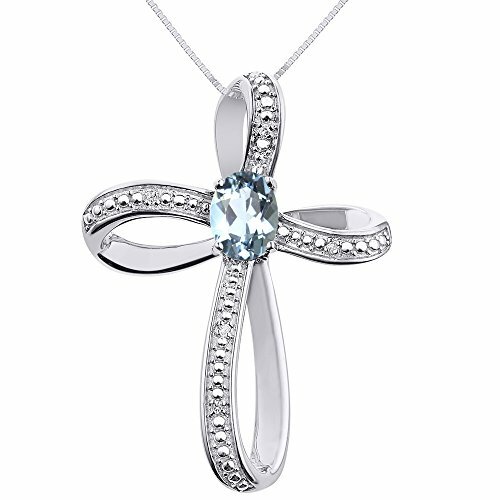 Stunning Sacred Crucifix Necklace set in Sterling Silver with Genuine Diamonds and Natural Aquamarine (March Birthstone). Don't hesitate to message us with any questions. :) * Will be shipped in elegant gift box. * The natural properties and composition of gemstones define the unique beauty of each piece. The image may show slight differences to the actual stone in color and texture. Color Stones may have been treated. * Please see our other listings or contact us for more information. 14K Yellow Gold Hand Charm Mano Cornuto Good Luck Sign Pendant Necklace, 22"